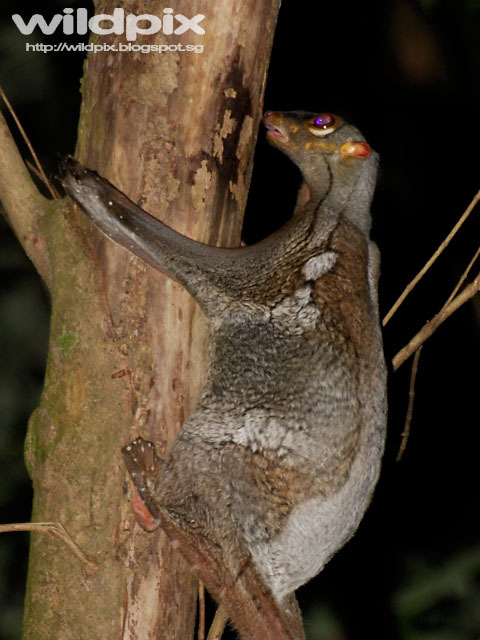 The Malayan Colugo is one of the elusive forest creatures which can be found in our Central Catchment Nature Reserve. It is so unique that biologists place it in its own order Dermoptera, which means "skin-wings" - and it's easy to see why: Malayan Colugo has membranes that extend from its neck and the sides of the body to the fingertips, toes and even the tail. 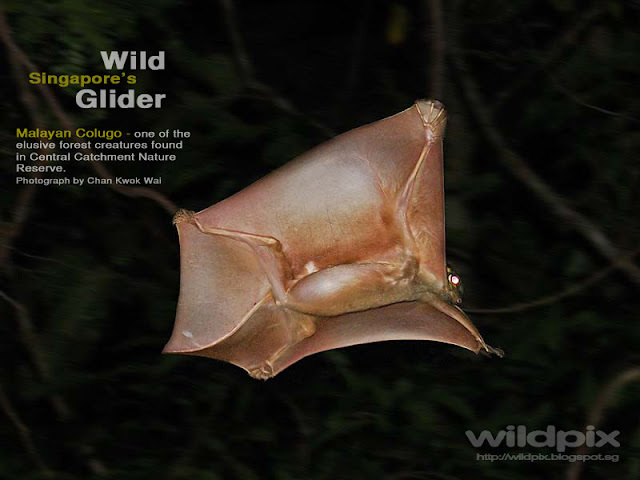 When spread out, it enables colugos to glide. These magnificent creatures have been observed to glide over 100 metres! Malayan Colugo taking off from a tree. A pair on the same tree. Notice the differences in coloration. 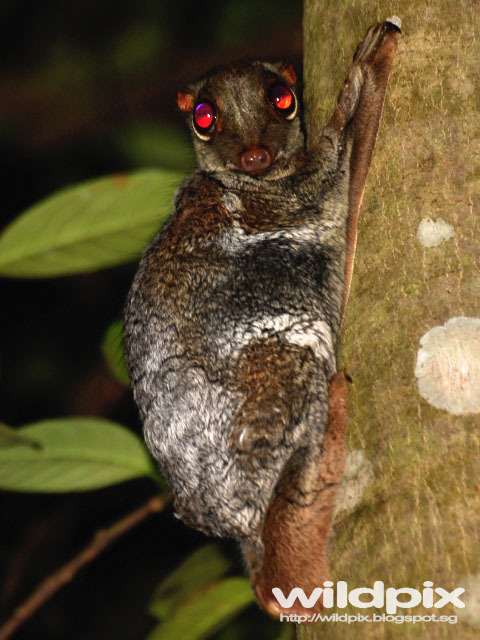 During the day, colugos spend many hours clinging to trunks or below branches. Their camouflaged fur helps them to blend into tree bark and make them less visible to predators. The young clings under the adult's gliding membranes. Sometimes, buried itself under the membrane. Once a while, it pops its head out. The colugos needs mature forests with high amounts of canopy cover. In Singapore, they are threatened by habitat loss. The Central Catchment Nature Reserve is likely to be subjected to construction works of the Cross Island Line. You can read about it here. Some nature lovers are concerned about the impact of soil investigation work to our Central Catchment Nature Reserve. You can read about it here. 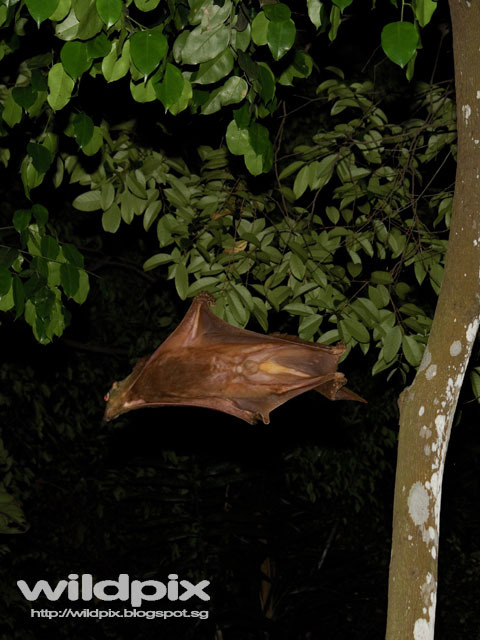 Singaporeans are fortunate to be able to see these magnificent creatures in our forest. 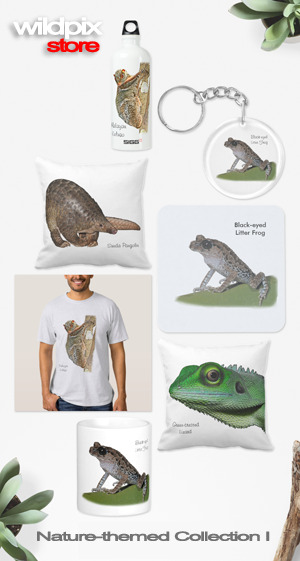 Don't let them diminish from our little remain of forest habitat left!